Yesterday, His Majesty King Abdullah II and a delegation of Jordanian officials including Minister of Industry and Trade, Yarub Al Qudah; and the Kingdom’s Ambassador to the Netherlands, Ahmad Al Mufleh, paid a visit to the Joint Inspection Center (JIC) of Schiphol SmartGate Cargo at Schiphol Airport, Amsterdam. On the welcoming end, Deputy Mayor Haarlemmermeer, Ap Reinders; president and CEO of Royal Schiphol Group, Bert Wiersema, acting CEO Customs; and Evert de Jager, deputy director Customs Schiphol Cargo, together with Panalpina’s Rob de Vos, managing director for the Netherlands, and Lodewijk van de Vosse from the Panalpina Perishables Network, gave the guests a guided tour of the facilities and provided a demonstration of cargo and perishables handling. JIC is designed to make freight handling safer and more efficient by allowing different law enforcement and inspection authorities to carry out checks in close cooperation with business partners. 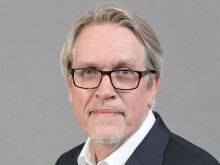 “The event had the aim to assess the import processes of perishables and their effectiveness as part of a public-private cooperation; essentially, how these processes can have a positive impact on the speed of handling cargo by private entities without compromising security,” says de Vos. The program highlighted Europe’s third largest cargo gateway and an innovative logistics model that works fast even when dealing with fresh produce. 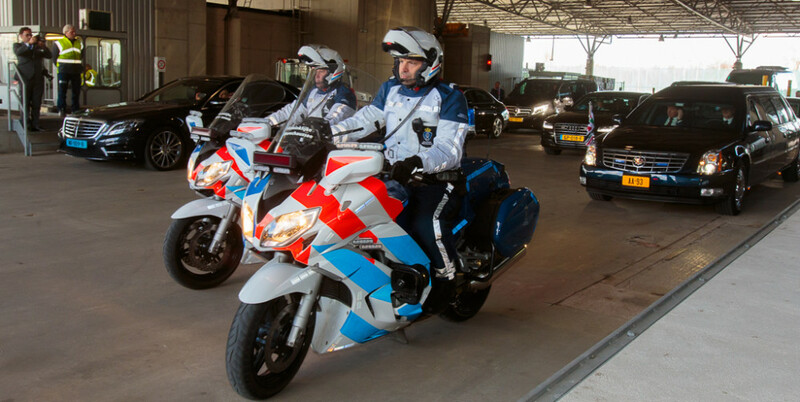 As the visit took place on the busy airside of Schiphol, a pooled press delegation observed the different inspections from a designated area. 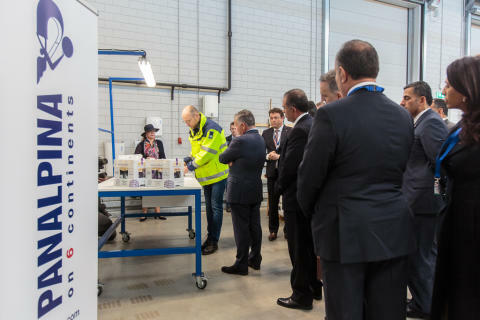 The Jordanian delegation was shown an example of the inspection journey that a package arriving at Schiphol SmartGate Cargo undertakes during the import process at the JIC. The samples had to go through JIC’s innovative ULD control scanner, which is used to pinpoint risks and reduce time of the cargo handling. A further manual inspection was carried out by personnel of the Customs Authority to identify other potential risks. 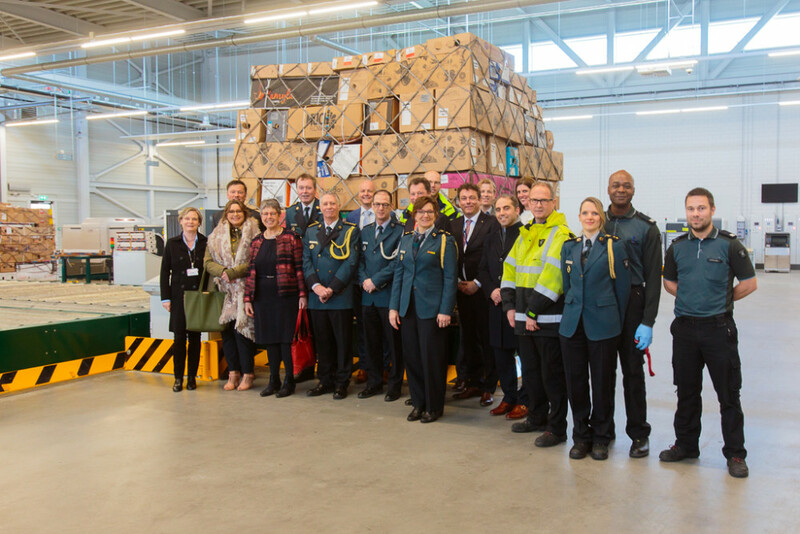 The second part of the visit focused on the effective public-private cooperation model the Netherlands uses for the logistics of perishables, an increasingly important industry. 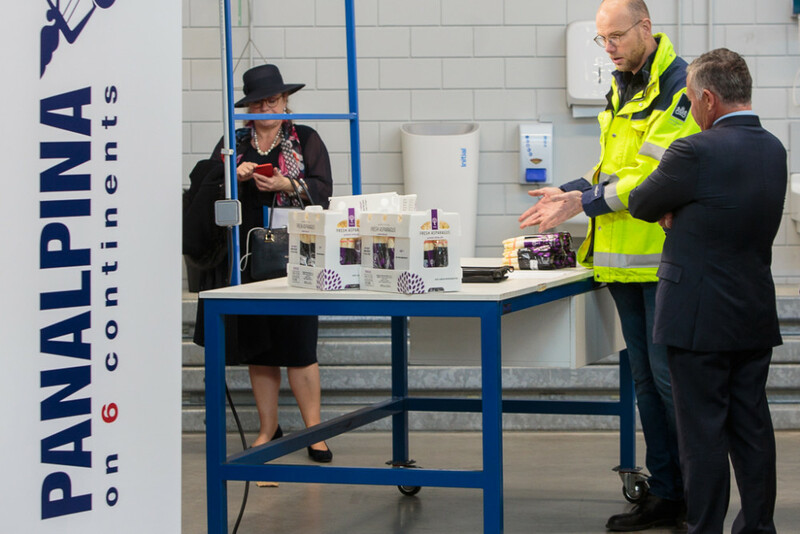 This part of the tour was under the guidance of Panalpina; checks were performed by the Netherlands Food and Consumer Product Safety Authority. Panalpina was asked to relocate some perishables that were in transit to the JIC to highlight the abovementioned cooperation model and demonstrate that less control by public authorities does not compromise security and can actually foster efficiency. Thanks to this, perishables that arrive by plane at Panalpina’s hub in Schiphol reach their final destination elsewhere in the Netherlands within approximately two hours. With Amsterdam and Luxembourg, Panalpina currently has two airport locations in Europe that are licensed for the handling of organic produce. Both hubs are directly connected to the tarmac, ensuring the shortest possible route between aircraft and cold storage. Interested in how one of the smartest cargo hub handles its perishables? See how Schiphol does it. Panalpina Adelantex in Belgium has received a bio certification from Certisys, marking the sixth time a Panalpina unit is certified for the handling of organic produce and reinforcing the company’s position as a leading service provider in the perishables arena. In the second installment of his Food for Thought series, Colin Wells, global head of industry vertical perishables at Panalpina, speaks of the highlights of Asia Fruit Logistica 2018, where e-commerce was a hot topic, as he embarks on a journey to Quito for the next stop in the perishables tour: Agriflor and Expoflor Ecuador.